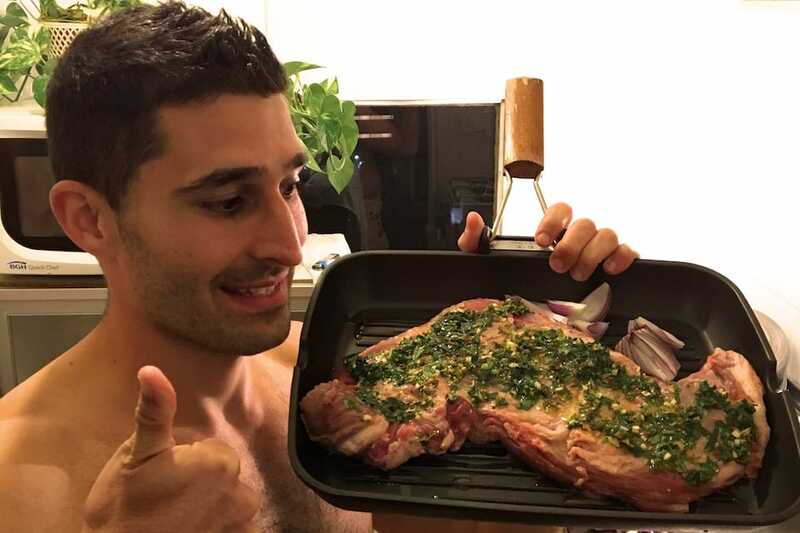 Steak is big business in Argentina. There's more cows than people here and as a result the Argentinians have made steak a work of art. There's plenty of excellent parillas to enjoy some of the best steaks in the country, particularly in Buenos Aires, but we also wanted to take back this little souvenir with us. 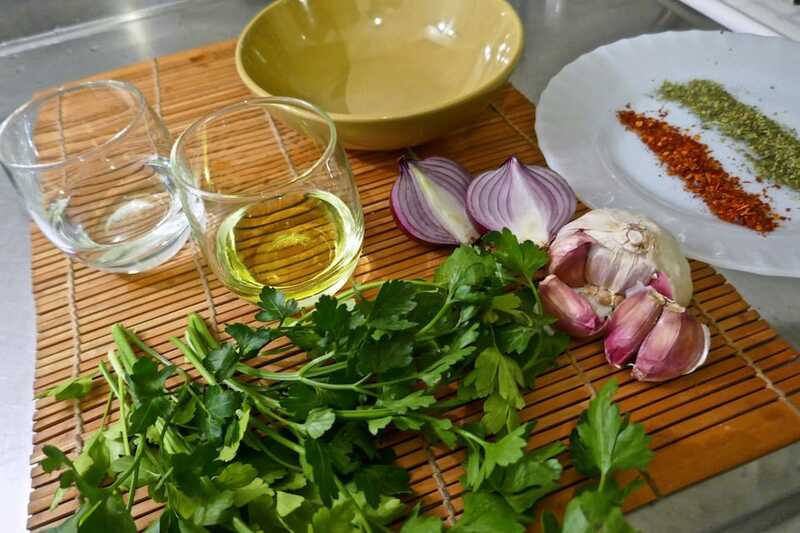 Chimi churri is a popular Argentinian parsley based sauce to accompany a nicely prepared steak. We've included a quick easy recipe for it here. The meat we used was matambre, which is a very thin cut of beef taken between the skin and ribs of the cow, like flank steak. Other personal favourites include bife de chorizo (sirloin) and ojo de bife (rib eye). 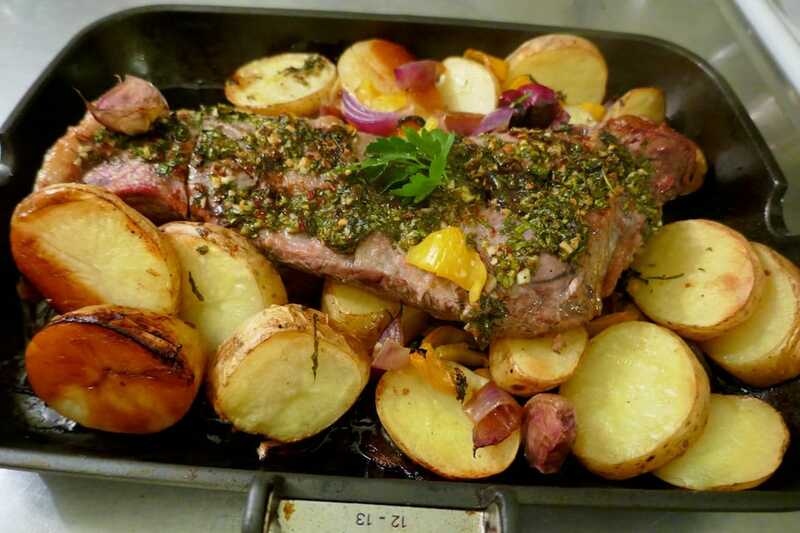 Our recipe for Argentinian steak with chimi churri involved baking the meat for around 1 hour and served with potatoes and vegetables cooked with it. Remove excess fat from the meat. Prepare the chimi churri by mixing the vinegar, olive oil, chopped parsley, chopped garlic, chilli powder, dried oregano and salt in a bowl. 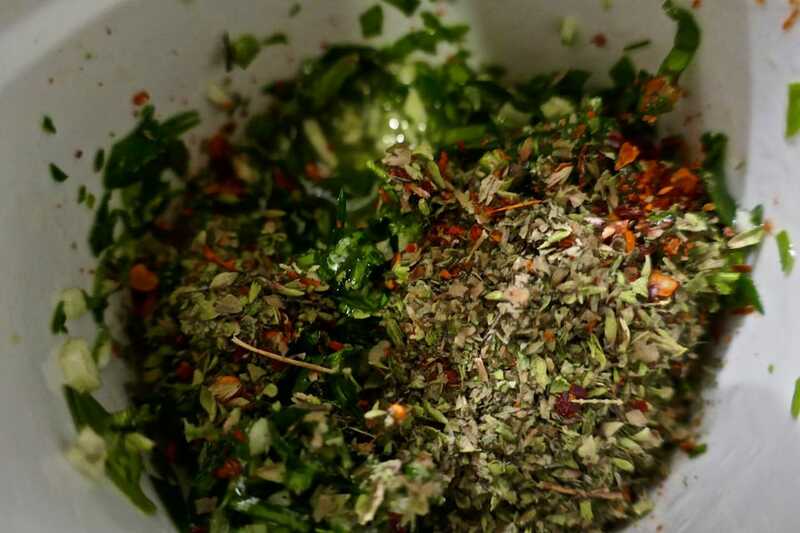 Set aside a few tablespoons of it for serving and with the rest marinade the meat. 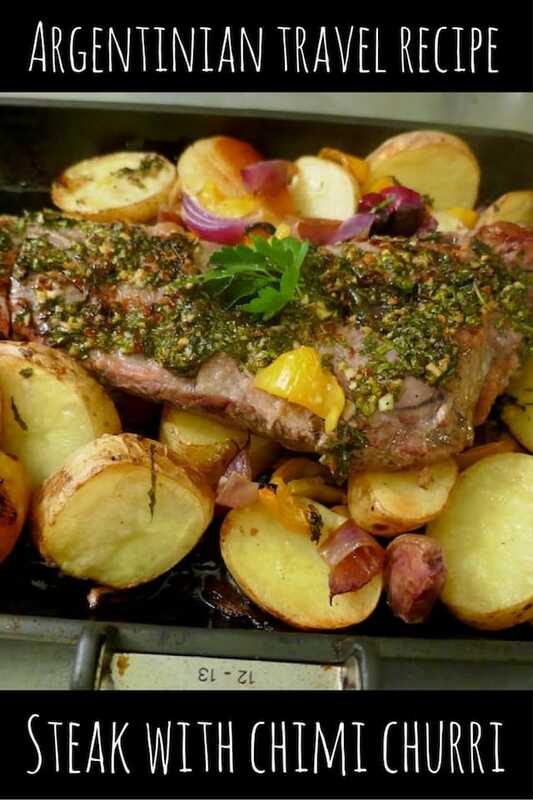 Place the marinated meat in a cooking pan along with the potatoes, peppers, onions and bake for around 1 hour. Serve with the remaining chimi churri sauce drizzled over the meat. 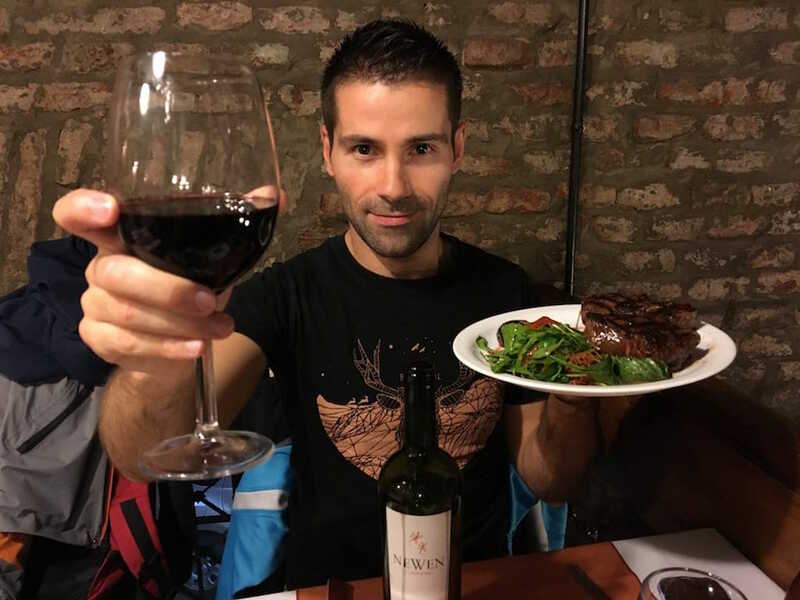 Any steak eaten in Argentina goes down nicely with several glasses of Malbec.